Join us this Sunday (Nov. 20) from 2 to 4 p.m. for the opening reception of two new exhibitions. Everyone is welcome to attend, and refreshments will be served. We'll have talks with the artists of both solo exhibitions: Susan Eisen and James DePietro. You can read all about these new shows below. 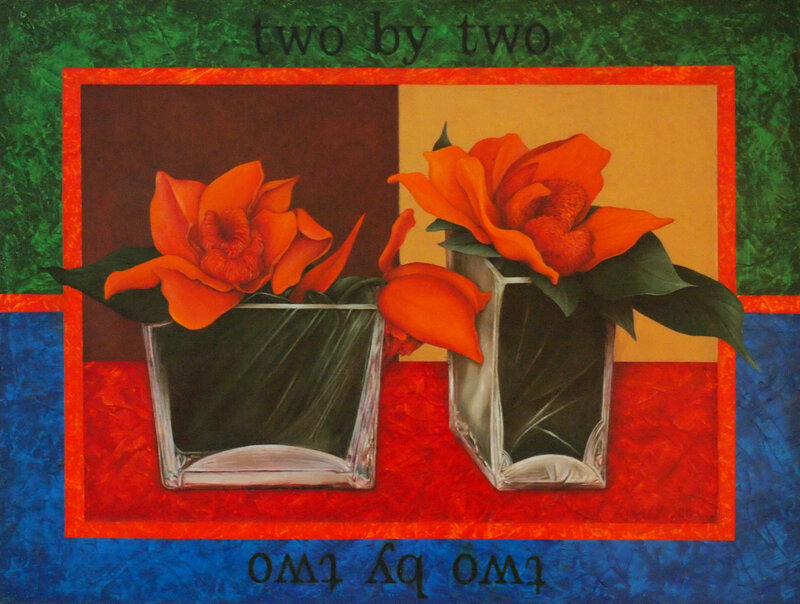 Susan Eisen’s life experiences and travels flow effortlessly through her art. One can visualize the sand-dune expanses and wadis of the Sinai Peninsula, where she once camped, or sense the dry desert riverbeds of the American Southwest in her large ceramic bowls, vessels and other creations. 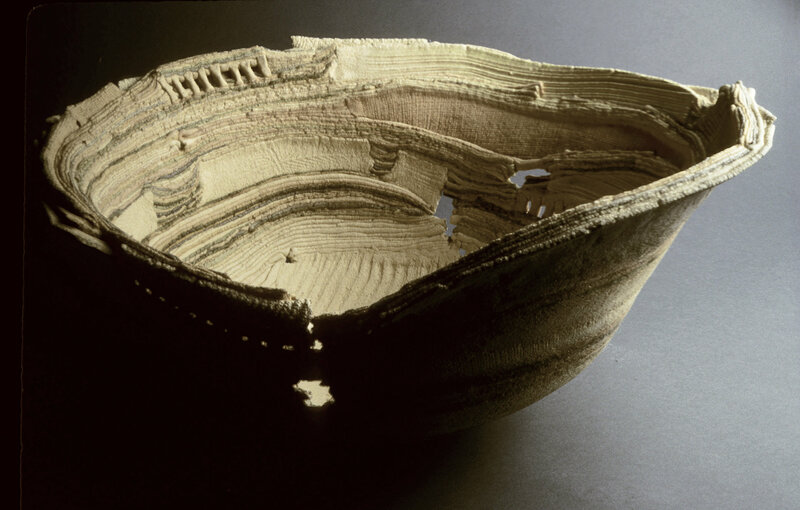 Image Credit: Susan Eisen, 1990, Peace, 11 X 24 X 21, stoneware with metal oxides. Artist James DePietro finds inspiration for his work from countless sources: a poem, a song, conversations between friends and strangers, quotes he has heard or perhaps something he sees while walking around town. The Bethlehem, Pa. native is featured in this year’s Hunterdon Art Museum’s Members Highlight Exhibition, which will run until Jan. 8, 2017. DePietro was selected by Gail Stavitsky, the chief curator of the Montclair Art Museum and the juror for the Museum’s 2015 Members Exhibition. DePietro is a visual storyteller, often creating a series of paintings to express his views. His earliest works in this exhibition—Earth and Sky and The Language of Flowers—from The Animalia and Flora Series—celebrates the beauty of nature by weaving together images of plants and animals in simplified surroundings while contrasting the subjects with colorful backgrounds, borders and text. Through his paintings, he often offers an ironic or humorous take on social, political or environmental issues. Image Credit: James DePietro, Deconstruction No. 2: Two By Two. Making plans to get up at 4 a.m. for Black Friday? Trying to figure out how to shop online without the boss catching you on Cyber Monday? OK, but have you thought about Giving Tuesday? Giving Tuesday is a campaign that began four years ago to create a national day of giving following two of the busiest shopping days of the year. It celebrates and encourages charitable activities to support nonprofit organizations. This year, we ask you to celebrate Giving Tuesday on Nov. 29 by donating to the nonprofit Hunterdon Art Museum. Your gift will help us continue to offer top-quality art exhibitions and education and to maintain our landmark site. There are several options to give, and you can learn all about them on our website. It's a gift you can feel great about! Pysanky Holiday Ornaments with Wendy Hallstrom, Saturday, Nov. 26. Register today. Pysanky Holiday Ornaments for Kids (ages 10 and up). Tuesday and Wednesday, Dec. 6 & 7. Learn more. American Girls: Home for the Holidays (ages 7 and up), Saturday, Dec. 10. Learn more. Introduction to Hand-Building: Two Day Ceramic Workshop with Bill Macholdt & Ann Tsubota, Saturdays, Jan 7 & 14. Register here. 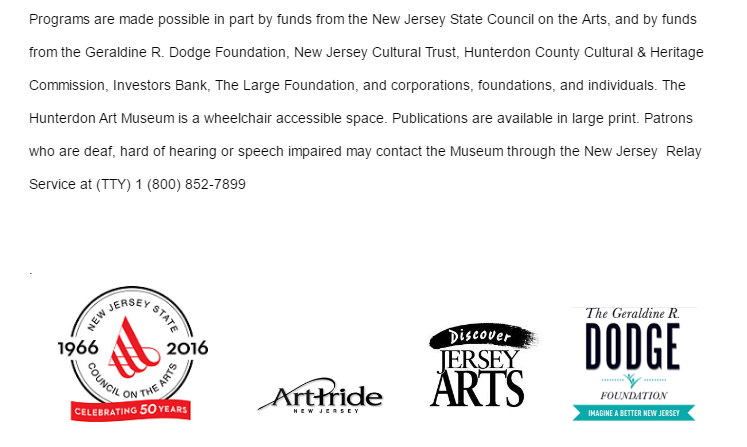 Copyright © 2016 Hunterdon Art Museum, All rights reserved.